My partner always laughs at how excited I get when my $40 coupon from Spotlight comes in the mail. I always end up using it, even if I don’t “need” anything and my stash keeps getting bigger. 2. Use up your stash. If you’re like me and accumulate a stash, try to use it the next time you’ve got a project! I sometimes get a little nervous using up beautiful fabrics I’ve been hanging onto. I worry that I’m going to make a mistake, or the final piece won’t be worthy of the fabric’s beauty, or some other crap like that. Don’t be like me – you bought the fabric to be used, so create something! The shirts below were a stash buster. I bought 1.5 metres of the fabric at 40% off at Spotlight. I think I paid around $3.99/m for it (so less than $6 total). From that I made two blouses from the Oliver + S Ice Cream Dress pattern, and had enough fabric left over to make two doll’s tops. A lot of store-bought clothing comes with an extra button or two. Don’t throw them out! Save them up – you’ll never know when you’ll need an odd closure. Also, if you are about to throw out clothing that has had it’s day, first scavenge all the trims and buttons before you throw it out. This is especially true when sewing for children. Children’s patterns usually span several ages (like 2T-10 in some cases), so if you trace the pattern for whichever size you need you then leave the rest of the sizes untouched and available to sew as your child grows. My mum always sewed 3 dresses from each pattern for each of us girls. It used to drive us crazy that we had to wear the same clothes all the time, but I can imagine that it saved my mum a lot of money since patterns can be very pricey. Make sure to transfer all of the markings. Also, a tip I learned from the Fashion Incubator Blog, make sure to cut the line away completely whenever you trace a pattern because each time you trace a pattern the line increases the size of the pattern. For instance, I will trace the pattern onto paper, then use chalk to trace around the paper onto my fabric. If I were to cut on the outside of the line each time I could be adding 2 or 3 mm to my seams. It may not seem like a lot, but trust me, it will make a difference when you try to match the pieces up. Here’s a very high-tech photo of my lightbox: pattern pieces taped to the window. 7. Re-purpose old clothes. That t-shirt you never wear anymore might make some fine pyjamas or leggings for a baby/toddler. Old jeans are easily sewn into a child’s skirt or shorts. I hope you found this list helpful. If you’ve got a few suggestions of your own please let me know and I’ll add them to the list! 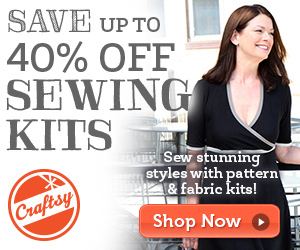 So here’s the question of the day: do you sew to save money? Or, do you sew purely for enjoyment? I don’t have a green thumb. I’m fairly persistent though, so I do occasionally get vegetables to grow and when that happens I am so overjoyed I can barely contain myself. What I love about gardening is that the garden can surprise you sometimes with plants that you either didn’t plant, or planted so long ago you gave up on them when suddenly you are faced with a fruit from a plant that came out of nowhere! That’s what happened today. In my little square foot garden I found a rock melon growing on the trellis. I remember planting rock melon, but it was at least 4 or 5 months ago. Could it have laid dormant in the ground this long? Surely it hasn’t been there the whole time and I just haven’t noticed? Well, a very welcome surprise. Grow little fella, grow! I did say there were more surprises though! A plant that I definitely didn’t install myself: passionfruit! A kind little bird or other little animal must have donated a seed somewhere along the line. Next to our compost bin, growing on an old decaying mango tree is a rampant passionfruit vine FULL of fruit! There must be 100 fruit on that vine or more! They haven’t ripened yet, but I’m thinking I’ll have to learn how to make passionfruit curd with it. I’ve also heard somewhere that you can empty all the fruit and then freeze the pulp to use as needed. I can’t wait! Probably another couple of weeks before maturity at least. The last little surprise in the garden is the rose that I planted last year donning a tiny flower bud. It must be a sign of good weather ahead – the start of winter. And well deserved after a hot and humid summer. This has been a great way to cheer me up after a couple of pretty stressful weeks. I accidentally deleted all the files for the new website I’ve been writing. I finished writing it and then made a mistake trying to back up and ended up deleting instead. Ooops. Well, I’m almost finished re-writing and I should be able to post here VERY soon my brand new store. Keep checking up – it should be any day now! Whew! I can’t believe I actually had time to sit down and write a blog post. This motherhood thing is really zapping all my free time! I’ve been a bit put off blogging for a while because it seems like every blogger out there is a professional photographer and writer. I’m amazed by all the talent out there – such creative folk – only… I do feel a little bit inadequate… I guess I’ll just have to aspire to one day be like that and for now I’ll post the kinds of things that are relevant to my every day looking after a toddler and working from home. This one is a couple of random things I’ve been up to lately: entertaining Audrey with a bit of craftiness and my newest hobby: quilting. I’ve been finding it more and more difficult to get things done around the house lately – my little girl seems to be increasingly curious and proportionately accident prone. Just recently she ran into a wall and nearly bit her tongue off. Luckily the tongue is probably the quickest thing in the entire body to heal – but my God it looked bad at the time! Audrey’s attention span is also seeming to be a bit shorter so sometimes it is a challenge to find things for her to do while I do the mundane chores like hanging the washing out or cooking dinner. I was about to throw a diaper box out when I had an idea. We taped scrap paper onto the box and then decorated it as a train. (I know, the artwork isn’t beautiful, but just trust me on this – it IS a train!). Don’t get bogged down in making it beautiful. It’s only going to go in the recycling bin once the little one starts ripping the pages off anyways so let her go nuts with the crayons. I poked a hole in the side so that I could stick a string through it then secured it with a fork (I suppose you could use a straw or a stick, but I just grab whatever is handy). All that’s left to do is find a passenger, in this case it’s Donna the Cabbage Patch Doll, and make “choo choo” sounds as you pull it! This was a really big hit and actually kept Audrey’s attention for long enough for me to hang the laundry out. Win! Alternatively you could attach as many boxes as you like and have several cars to pull dolls and teddies. I think Audrey’s train actually needs an engine. I’ll get to it eventually. The other thing that I’ve been doing in the few hours between Audrey’s bed time and mine is quilting. I always figured quilting was something my grandma did so it didn’t really appeal to me. But after going to the Stitches and Craft show in Brisbane and seeing all the beautiful quilts I felt inspired (I also had a bit of encouragement from my friend Amanda who has made adorable quilts for her kids). At first I found it oddly relaxing to sew nice straight stitches between blocks of fabric. And then came the borders. After stitching and unpicking my borders TWICE I certainly had a few curse words for Amanda under my breath. Actually it still wasn’t that bad. I found a great YouTube video on how to do perfect borders. It turns out you can’t just sew a really long piece of fabric to your quilt and hope it works out. You actually have to measure and pin your border first. Who would’a thunk it? 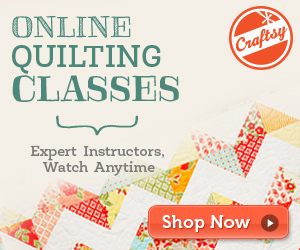 Are there any quilters out there reading this? I’d love to hear your favourite quilting tip!